The Nor’easter heading our way brought 40º temperatures with it. This meant more rain than snow. Still, we were glad we stopped by Town Fair Tires on Tuesday for four new snow tires. Snow tires are not just for driving around in the snow. They are formulated to be flexible when the temperature dips below 45º. If we had left on the Hankook Ventus V12 summer tires, they would be as hard as rocks at those lower temperatures. The summer tires would soften up a little after a while, but handling, cornering, and stopping characteristics would be severly compromised, especially at higher speeds. Not something we would care to experience first hand. We are not sure why, but we had a lot of problems finding 16″ snow tires for the Boxster. Tire Rack had only one option (Pirelli Winter Sottozero Serie II) and Town Fair Tires also had only one option (Firestone WinterForce). We are not sure how comparable the Pirellis are to the Firestones, but as with the summer tires, the “out-the-door” total (installation, balancing, stems, etc) was a lot cheaper at Town Fair Tires. We also liked the convenience of having the work done locally. The Firestone WinterForce treads are directional and computer-designed for traction in snow, wet, and ice conditions. Any tire treads’ blocks’ shapes, groove configurations, and sipes affect tire noise pattern and traction characteristics. Typically, wide, straight grooves have a low noise level and good water removal. More lateral grooves usually increase traction. 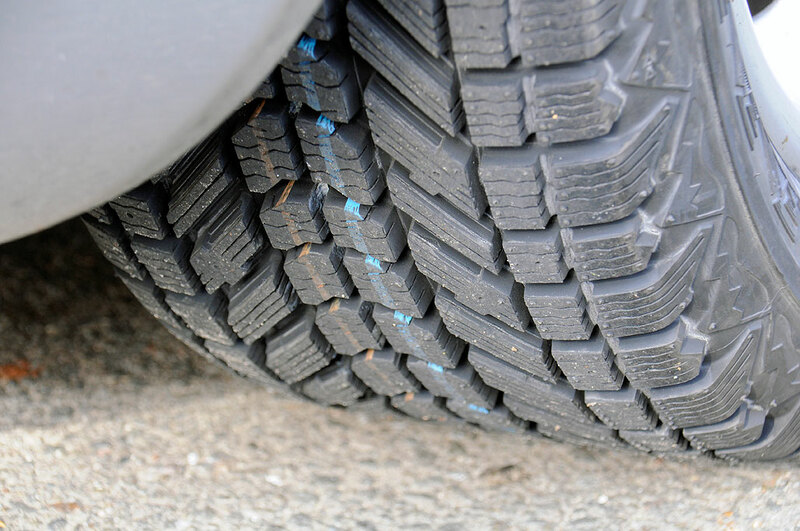 These WinterForce tires are siped and studdable (#12 pins). Siping is a process of cutting thin slits across a rubber surface to improve traction in wet or icy conditions. 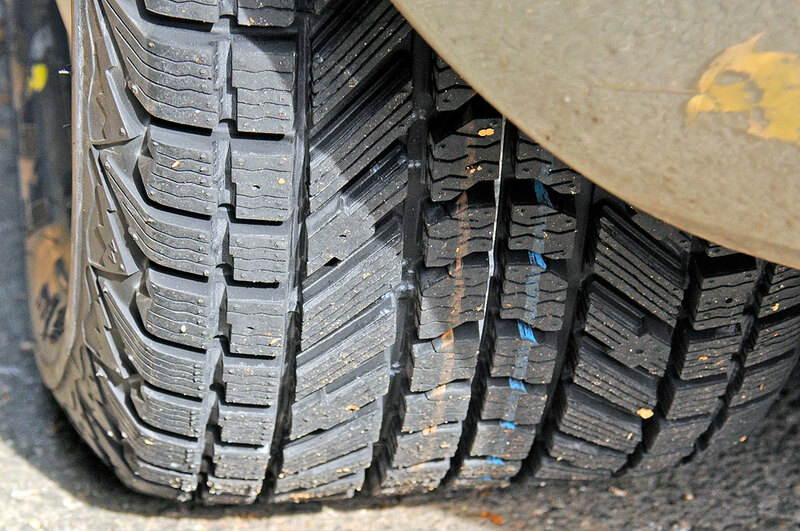 Studdable tires are sold without studs by default, but can be a good option for those who want additional ice traction. Note that not all areas allow the use of studs. Some places restrict their use to only certain times of year. Definitely check your local regulations before ordering tires with studs installed. The drive back to the office from Town Fair Tires in Dedham was mostly on city streets. We did notice an improvement in ride comfort, the slight “thumping” had disappeared, and there was no noticeable increase in tire noise. We will take the car out on the highway this weekend to see how the new tires behave on the open road. We will post an update after we have put some miles on these tires.